Greece may seem like a dream place to live, but I’d tell you to thank your lucky stars that you’re an American citizen. The people of Greece face shockingly low wages, high unemployment rates, and get around by scooter. Scarily, they only have two main industries keeping their economy from totally collapsing. The challenge they are facing as a country is mostly of their own making and stems out of their big fat lie. Greece’s lie contributed to the economic fall of a great, ancient country. Tanja and I just got back from visiting eight Greek islands and the city of Kusadasi in Turkey. I don’t think I could pay Tanja $1.9M to go live on the islands. 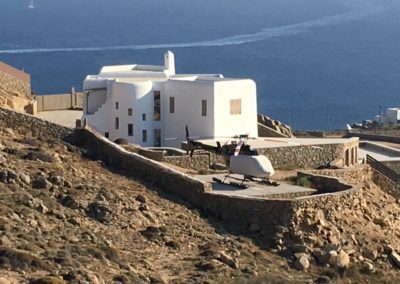 (Keep reading and you’ll see what $1.9M gets you in Greece.) Don’t get me wrong, Tanja enjoyed our trip immensely, but the islands are basically large boulders protruding out of the sea. Anything green is far and few between. Tanja’s poor soul would wither and die without beautiful green plants surrounding her. What makes the Greek islands so beautiful are the sea views that are visible from almost every corner of the region. However, Greece’s beautiful views are not enough to save the country from the economic hardship that their government has caused. How that all happened is an interesting story. 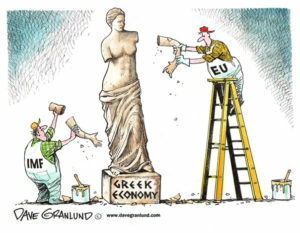 Greece got themselves into trouble by overstating — really, lying — about their GDP when they joined the European Union. They wanted as much of the pie as they could get, which would allow them to borrow more. The problem is, once you do that, you have to perform, and they were not capable of meeting those expectations. It’s obviously more complicated than that, but you get the idea. Years later, they are still dealing with the effects and are struggling to recover. They are the only nation to ever default on their loan with the International Monetary Fund (an organization of 189 countries that works to sustain economic growth). Greece has now implemented a 24% sales tax which keeps them stuck in a vicious cycle: You can’t tax your way to prosperity! In fact, this crazy high sales tax is driving businesses to operate more in the black market, which means doing as much business as possible in cash. While in Greece, we were frequently asked to pay in cash instead of using our credit card. Greece estimates that they are short $16 to $20 billion a year in taxes, or about 25% of the taxes they should receive every year. Their labor wage is at about $3 per hour with a high unemployment rate, and they really only have the tourism and shipping industries to drive their economy. How will they get out of this hole they’ve dug themselves into? We are so lucky to live in the United States where opportunities abound if you are willing to work hard and better yourself. You could be stuck in a place like Greece (or much worse! ), and your options would be very limited. We saw very little show of wealth in the locations we visited. Athens probably had the most visible wealth, followed by Santorini. I only saw one fancy car the entire time we were there. It was the 718 Cayman S Porsche, which can go from 0 to 60 in 4.6 seconds. The speed of the car won’t do you any good though, because all the people riding scooters will actually beat you to your destination. They just go around the traffic as needed, whenever, wherever. Other than the highway in Athens, Greek cities often only have two-lane roads and sometimes the roads aren’t even wide enough for two cars. 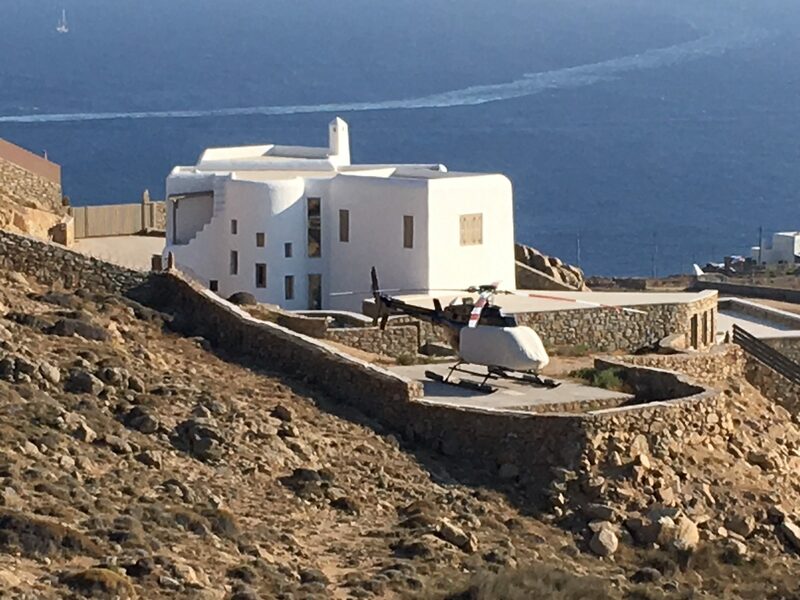 So maybe they don’t have many fancy cars, but two of the nicer homes on the island of Mykonos had helicopters sitting on pads right next to their home. Now that is a nice form of transportation that even the scooters can’t beat! 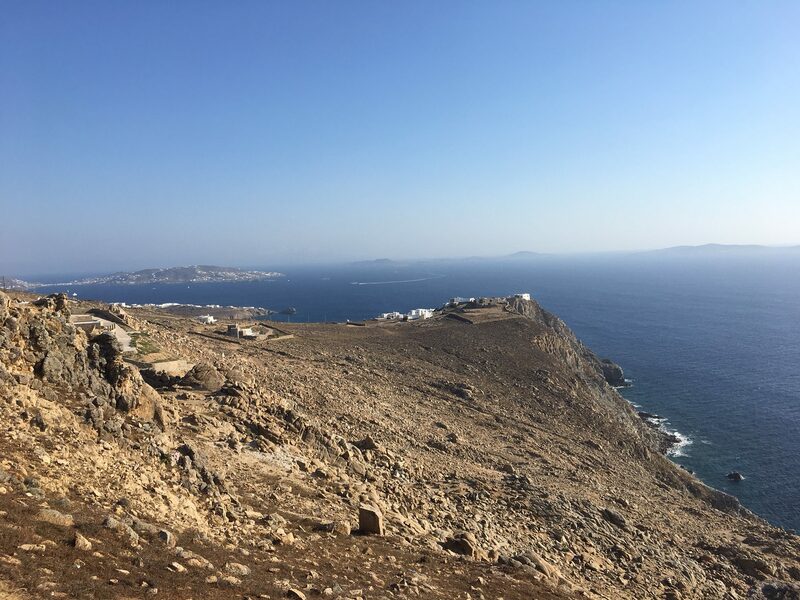 Here is what $1.9M buys on island of Mykonos in Greece: 2,800 square feet, close to town, overlooking the new port. So, are you still interested in a vacation home in Greece? $1.9M gets you this beauty on the island of Mykonos. Whenever I travel, I need to know what the local real estate costs. 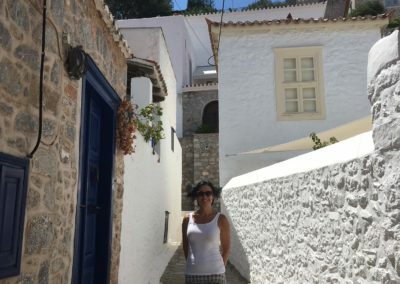 I checked Zillow for property prices, only to learn it doesn’t work in Greece. 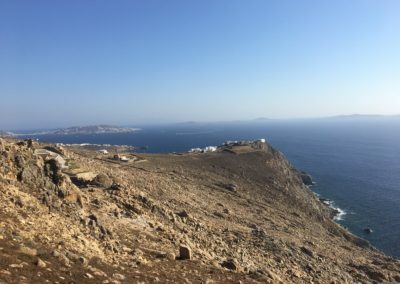 An internet search revealed to me that, amazingly, homes were going for $1 to $10 million dollars on Mykonos. I would have guessed that homes were much more affordable. If I were to spend $2M on a home, there are many places that offer better values and a nicer setting. 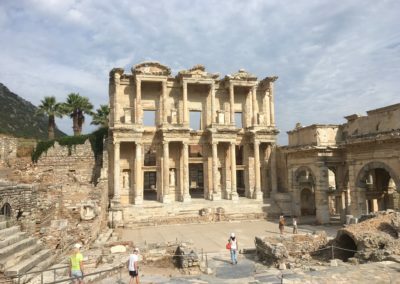 The Greeks are no longer able to get loans to buy or build homes, so you see unfinished homes everywhere. Normally, you would think they are abandoned, but that is not the case. They slowly build them piece by piece, as they can afford it, and that can take years. Still, I wish the best of luck to the Greek people. They have a long way to go toward economic recovery, but they seem tough, and hopefully someday they will see prosperity again. For Tanja and me, there is nothing like home. We missed our family, the serenity of our beautiful backyard, and the familiar places we visit in Reno. Whenever I travel, I also miss the business. I really do! I’m glad to be home. 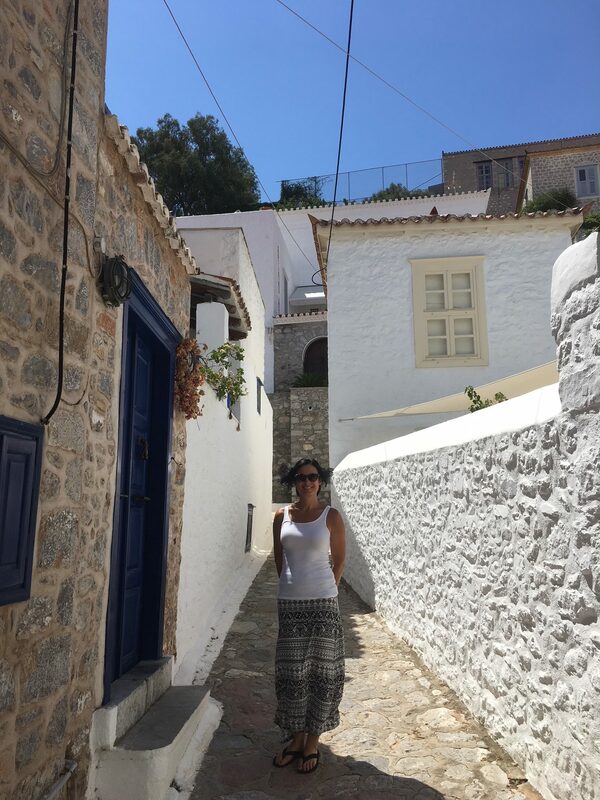 My wife, Tanja, in Greece. Not a lot of green in this view!